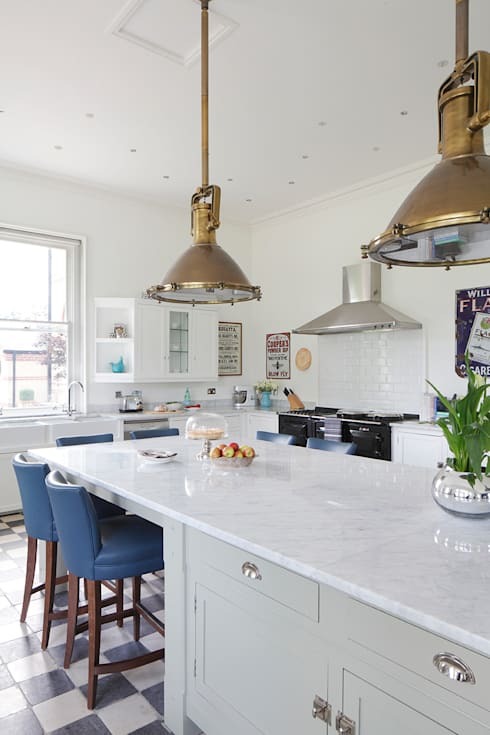 We can't foresee a time when vintage styling isn't hugely popular and when it comes to adding a little retro flair to your your home, one room makes it work so seamlessly; your kitchen! Ask any interior designer and they'll tell you that a vintage twist can make your home so chic, unusual and stylish that you'd be crazy to not at least consider it, but if you don't consider yourself to be an expert on all things retro, we have some top tips for you! Come with us now as we tell you all about the piquant vintage touches that will bring your kitchen to life and see which ones really excite you! 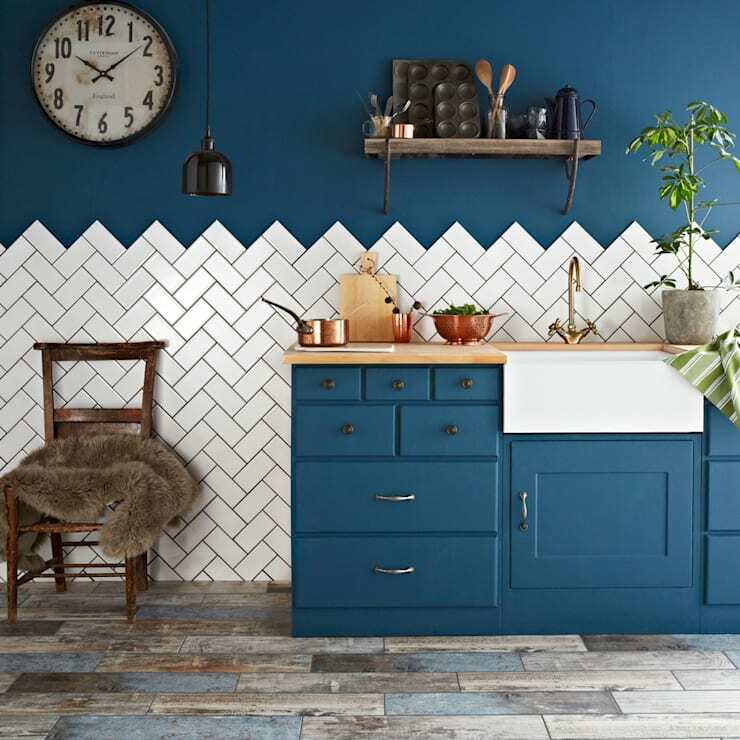 Tiled splashbacks aren't anything new, but for a really vintage touch, you HAVE to consider arranging them in a herringbone pattern. Reminiscent of lovely and traditional parquet flooring, this is such an easy way to get a vintage look without going too far! How groovy are these vintage breakfast bar stools? 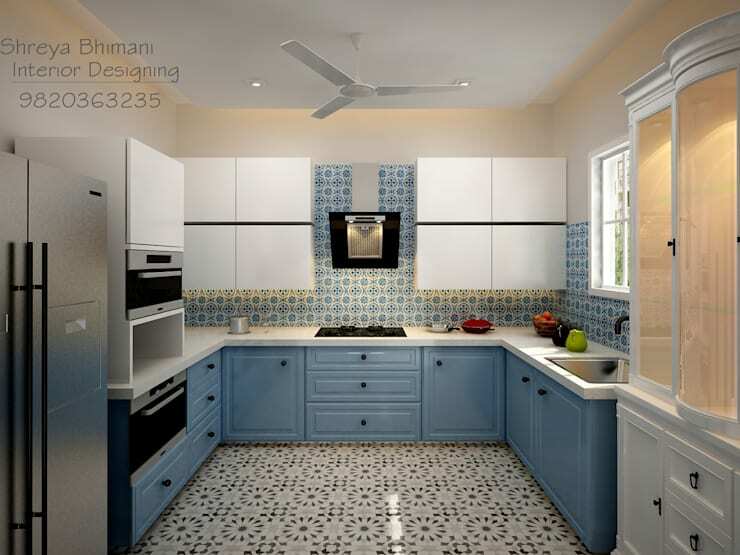 Adding a fabulous 60s look to an otherwise modern kitchen, they have totally changed the ambience of the space. We love that psychedelic yellow hue as well! If you like vintage styling, but with more of a homey feel, you HAVE to consider a vintage country kitchen. 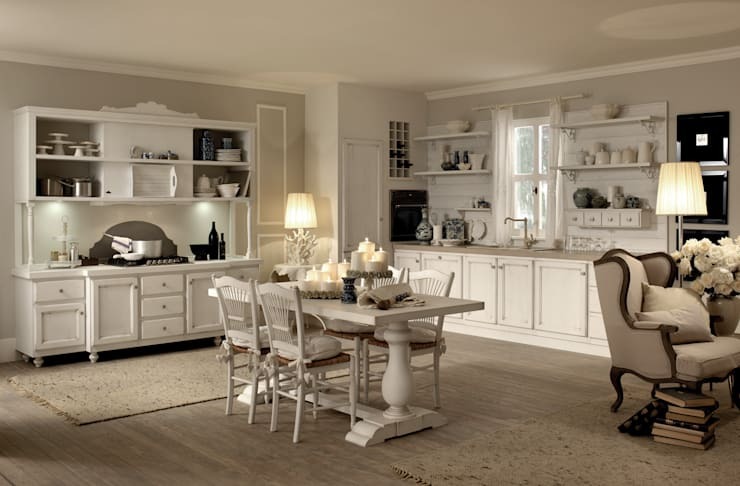 Shabby chic wood, pastel tones and steadfast appliances, such a large ranges, will all capture the look perfectly. KAPOW! 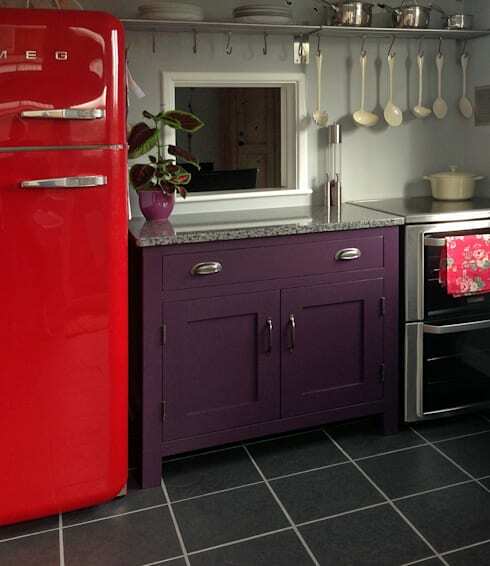 Just look at these amazing atomic hues that have brought this kitchen to life and given it such a fantastic 50s feel! Combined with a super cool vinyl floor, this really is a space guaranteed to garner so much attention and envy! 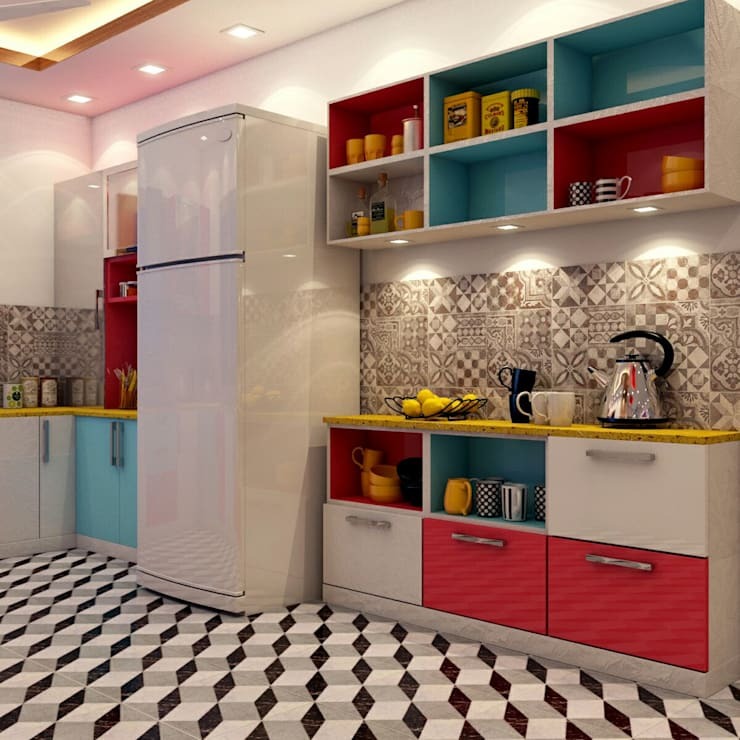 Speaking of funky color, just look at this kitchen! We love that a vintage look has been captured, but with modern appliances, as we all know that energy-efficiency is a seriously important topic right now. This vintage-style larder fridge is the best of every world, showcasing an old school look with contemporary eco-credentials. There are certain patterns and colors that really evoke vintage aesthetics and chief amongst them is checkerboard! 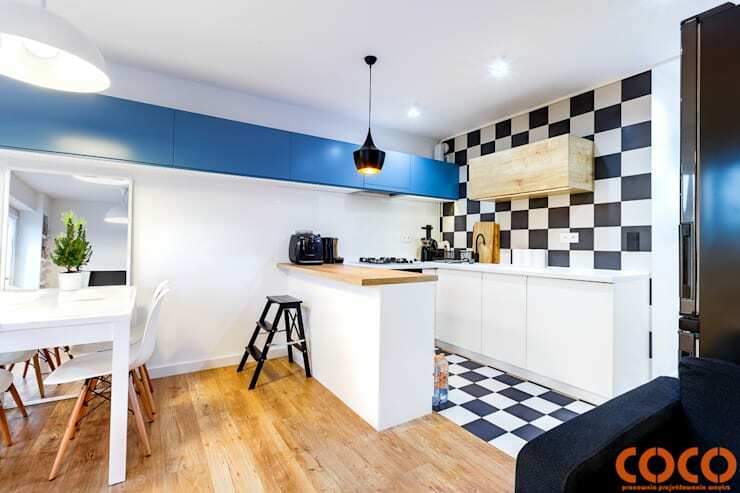 We love the idea of a checked vinyl kitchen floor, as it would be easy to clean, while looking amazing and bringing so much funky vintage glamor into play as well. 7. Memorabilia and upcycled chic. 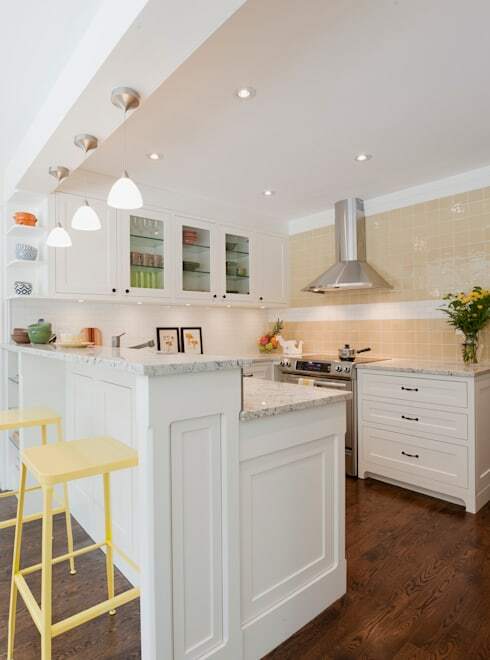 On the face of it, this kitchen might look quite modern, but when you start paying closer attention, you'll see vintage enamel wall signs and upcycled light fixtures that create a delicate balance of old and new. What a way to play with eclectic decor! 8. Pastel hues and pretty details. Pastel Shaker kitchen cabinets are perfect for creating a vintage look, but combine them with some pretty patterns and you have retro perfection! Matching your floor and wall tiles is such a classically 50s motif and always makes for a really happy and pleasing vibe. For more vintage inspiration, take a look at this Ideabook: 7 ways to mimic timeless vintage style in your bedroom. Are you desperate to inject a little vintage flair into your kitchen now?